Mussel shells are almost always wedge shaped or asymmetrical. The shells are usually much longer than wide. These wide shells come in two halves that close and inside contain the mussel meat. These two halves are hinged to open and close and stay connected in the center with a hinge. The two sides are called "valves" and are closed by a ligament. The shells are dark colored, usually blue or brown on the outside. Inside, a mussel show is lighter colored, silver. The shells often have a pearl glow on the inside. Shells protect mussels from predators and support the soft tissue found inside. Mussels get around with the help of a foot. This large organ pulls the mussel through the sandy or rocky bottom of a lake, pond or stream and anchors the animal when it's not moving. The foot advances and then pulls the shell along behind. 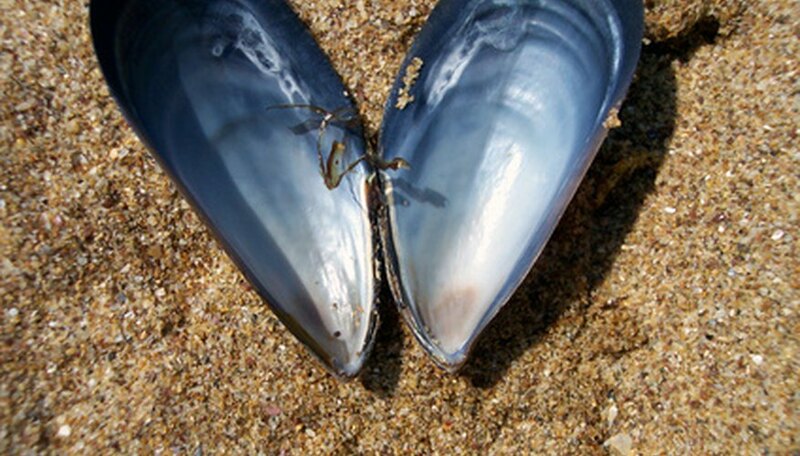 Mussels feed by filtering seawater. Microscopic plankton and other tiny sea animals provide mussels with nutrients. These creatures are found free-floating in sea water. The mussel feeds by drawing in water and any waste water is siphoned out. Mussels are either male or female. Fertilization occurs outside of the mussel. Larvae then float around from three weeks to six months before settling and becoming a young mussel. Mussels are found in temperate zones, and less commonly in tropical locations. Some species live in salt water while others thrive in freshwater. Mussels are found in locations throughout the world except for polar zones, but need a constant supply of clean water. Brite, Kristine. "Characteristics of Mussels." 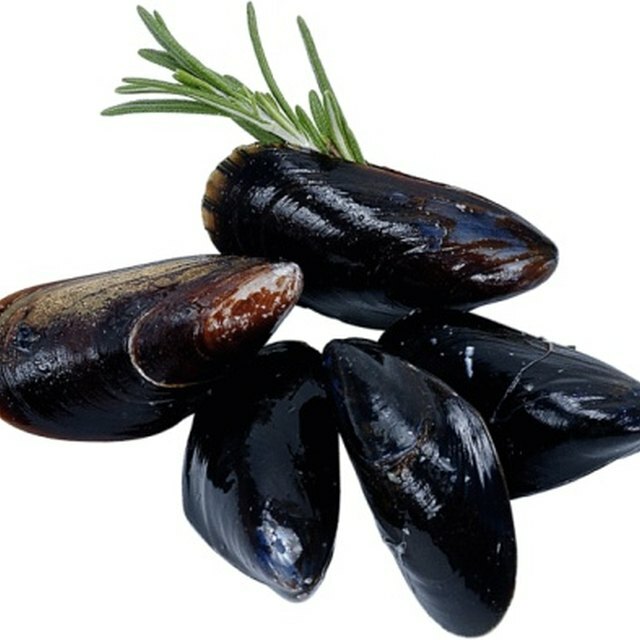 Sciencing, https://sciencing.com/characteristics-mussels-7661466.html. 24 April 2017.